As one of the most astounding, larger than life-documentaries of all time, Eleven Powers tells the tale of the last Eka Dasa Rudra festival. 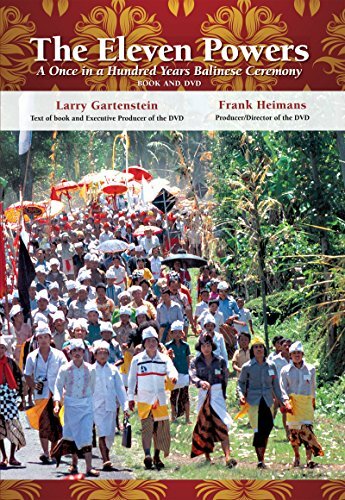 The event takes place every 100 years in Bali, with the last one held in 1979, and if this film crew had not been there to document it, the trials of that calamitous celebration would hardly be believed. The film shows how the fanatical locals goes about sacrificing at least one of every living thing on the island, into a bubbling volcano, to prevent the destruction of the entire cosmos. 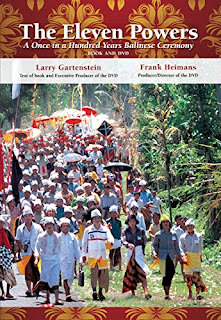 Being an unbelievable depiction of frenzied religion at its most savage and insane, at the same time it also shows such empathy towards the practitioners, you somehow start cheering for their rituals to succeed. The brilliant and brooding narration by legendary Orson Wells, makes it a true gem, not to be missed. However, the film is very hard to come by, and I've only managed to see it once at a festival. But apparently it has been released on DVD, so should you happen to possess a digital copy, please contact me. EDIT: The fantastic DJDizNerd just told me that someone finally uploaded this documentary to youtube. Watch it now, while you have a chance! Just watched it here. Really amazing documentary. Loved it. Thanks for the recommendation.